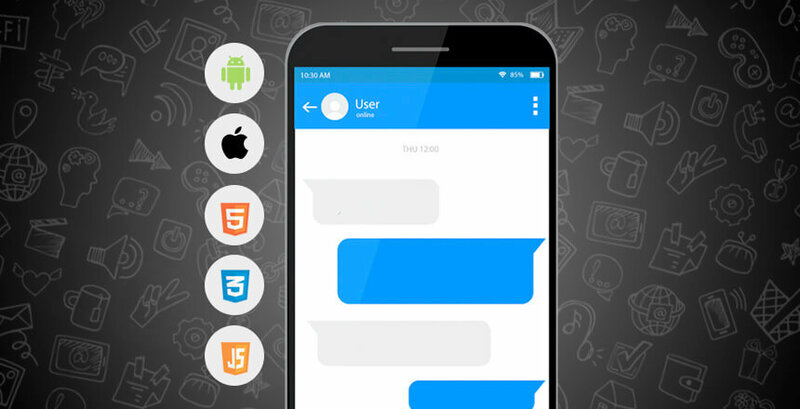 App Builder Appy Pie: Even a newbie who has just stepped into the world of mobile application development has been exposed to the term and knowledge of the concept of Technology Stack. Irrespective of the method you choose for your mobile app development, if you fail to put together a strong and stable technology stack, you are not going to get the results you are aiming for. The future success of any mobile app is heavily dependent on the technology stack it uses. Technology Stack – What is it? As a whole, the technology stack for mobile app development may be categorized into 4 aspects. These are the very areas that come together to form the anatomy of any application. This is essentially the interface of the mobile app using which the users interact with the app. This is the part that is responsible for taking the user input, processing this input, and then converting it into an output. This is the place where interfaces and libraries come together to design and develop the mobile application. These include the technology elements that affect the performance of the app, security, and robustness. After you have understood what a technology stack means, it is time you explored the reasons why businesses must sit with the app development professionals or the company that they have hired and discuss the technology stack that would go into building the mobile app. Finding the Best Technology Stack – Why is it important? Numerous defining traits of the mobile app you are building depend on your selection of the technology stack for the mobile app. It is what would decide whether the app is robust, or will the app be able to scale to various versions of different operating systems, and many such other traits. Choosing anything but the best technology stack is sure to affect the immediate performance of the app and mar its future growth prospects. The time to market of the app and the cost of app development are only the most obvious and the initial issues you would face but choosing the wrong tech stack can actually lead to more deep-rooted problems in your app altogether! It is time now to look at the technology stacks that are behind the development of robust, scalable, and unique mobile and web apps. Preferred by most companies for their robustness and high performance, native apps present themselves as a near perfect solution when it comes to mobile app development for business. A native app lets the developers integrate the device’s in-built functionalities in their mobile app without having to rely on any external third-party API. When you think about a native app it is natural that iOS and Android apps would pop up in your head. Now, both the platforms are different in their construct, which means that you would have to choose entirely different technology stacks for both of them. Though Kotlin is deemed as the official programming language for Android app development, the Android app developers still prefer to use Java language. When it comes to IDE, the most commonly used software for development purposes are Eclipse and Android Studio. These Android tech stacks have been proven to help the developers rise the total app count to millions and beyond, thus enriching the android app development industry. Swift & Objective-C are the most preferred languages for iOS app development. IntelliJ AppCode and Apple XCode are the most commonly used toolkits among iPad and iPhone app developers. When brought together, they form the foundation of a flourishing iOS app industry that has earned respect in the field of mobile apps for their quality and superior user experience. The three most commonly used frameworks here are – Cordova, Sencha Touch 2, and Ionic. 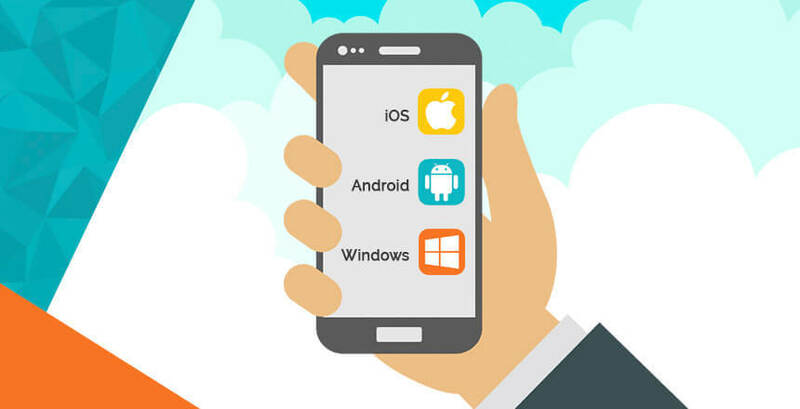 Cross platform app development refers to the process of using the same code for app development that can be run on a number of platforms including Android, iOS, and even the web. These lend the businesses with a greater geographical coverage, lower cost of development, and lesser go to market time for the mobile apps. There are three major technologies that go into a cross platform technology stack – Flutter, React Native, and Xamarin. Best Technology Stack – How to choose it? 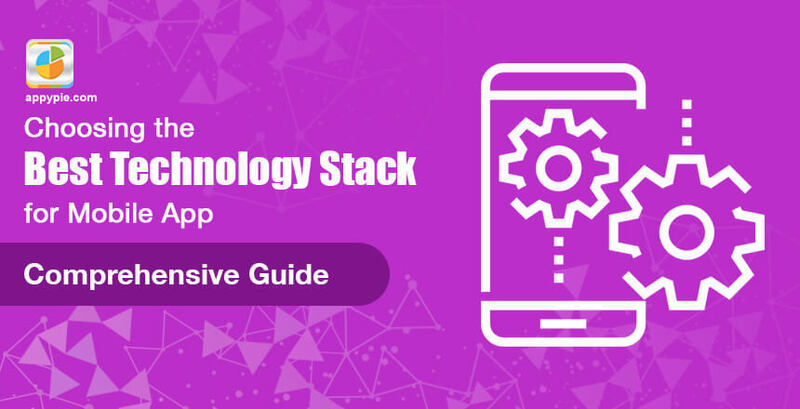 Before going ahead and exploring the different technology stacks that can be used in your mobile app development, it is important to be aware of the factors that influence the choice of technology stack. Each app is different from the others in many different ways. The devices on which the app would have to function, the kind of network conditions it would have for operation, the intended user experience, the go to market time, and the platform it would run, and many such other factors differentiate one app from the other. 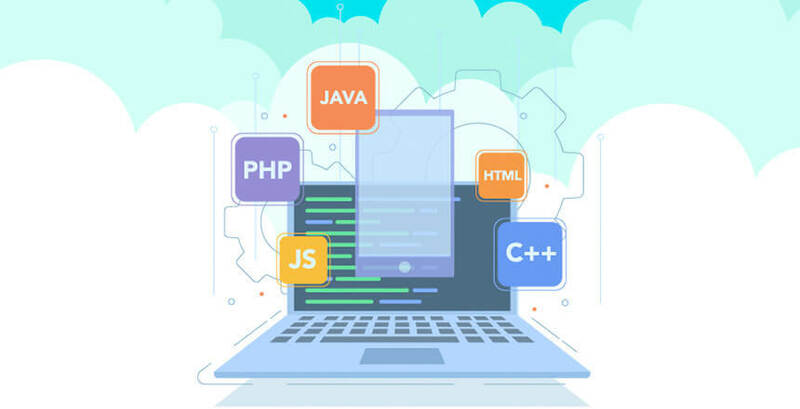 All these elements and more, come together to help the developer decide which framework, library, language, and software they should use to attain the best results. The objective or the end goal of the app is critical in the technology stack a developer picks for developing the app. For example, the technology stack would wildly differ for developing an app with high latency as compare to a quick response mobile app with low latency. If the mobile app is dependent on heavy load processing, then there is a need for a more robust technology stack as compared to an app that operates around precisely streamlined interactions. There are quite a few languages and frameworks that bear similar results, but have certain typical differentiating factors distinguishing one from the other. If you were to decide between two technology stacks which are pretty close to each other, it is a good idea to go with the developer’s strengths. If you end up pushing your development team to pick a tech stack that they are not familiar with, then the efforts would increase, and so would the time taken to build it. However, if you were to offer them a technology stack that your team is familiar with, not only would the speed of the process be better, but the quality too is bound to be better. The parent company of your chosen technology stack is of critical importance in the development of your mobile app. Some of the more established brands that provide a better documentation and community support as compared to the others. It is only natural that Google, Microsoft, and Adobe would provide much better community support and advanced development options as compared to using Facebook with React Native. If we compare an app that runs on a single platform to an app that would run on all the platforms, there would be a world of difference between the technology stacks chosen to build the two. Similarly, the tool set required for the kind of scalability you would require incorporating in your mobile app in order for it to be ported on other platforms, like in Hybrid or Cross Platform App Development would be entirely different from the tool set required for Native App Development. Any modern-day mobile app development technology worth its salt, is equipped to ward off any weaknesses in the security that an app might encounter after it has been released in the market. However, it becomes tricky when the tech stack you chose is insufficiently documented or requires writing long codes increasing the risks during the entire process of development. A critical consideration here is the skill level of the developer. Irrespective of your choice of technology stack you are including in your mobile app, the hackers would wind any weak spots you might have left during the process of development. This is why along with the choice of technology stack, your team of developers need to be fairly skilled as well. It is of absolute importance to choose a technology stack which is compatible with the technology that you have already been using in the project. This is especially important if you plan on introducing a new technology stack after the process of mobile app development has already begun. Also, while it is important to check the compatibility of your chosen tech stack with the current technology set in the project, it is also important that you check for compatibility between the tech stack and any other tools that you are planning to introduce in the project later on.